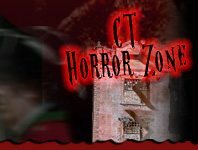 Ghost Tours in Connecticut range from creepy to all-out mind-blowing! Get ready to hear about chilling tales and learn about spirits that may still thrive in some places in Connecticut. There’s even the chance of encountering a friendly (or not so friendly) ghost or two during your Ghost Tour adventure as you're led by experts in the field!